Djurkul offers several different animal-related activities at the show-farm Rönninge By. We have an activity one evening every week as well as easter-, autumn-, christmas-, and summercamps. We also have pony-riding, guided tours, and much more! At Djurkul we welcome animal lovers of all ages, but most of our activities are suitable for children and youths from 4-18 years. Browse through the menus above to find and read more about the activity of your choice! Click here to arrive at the booking-page! 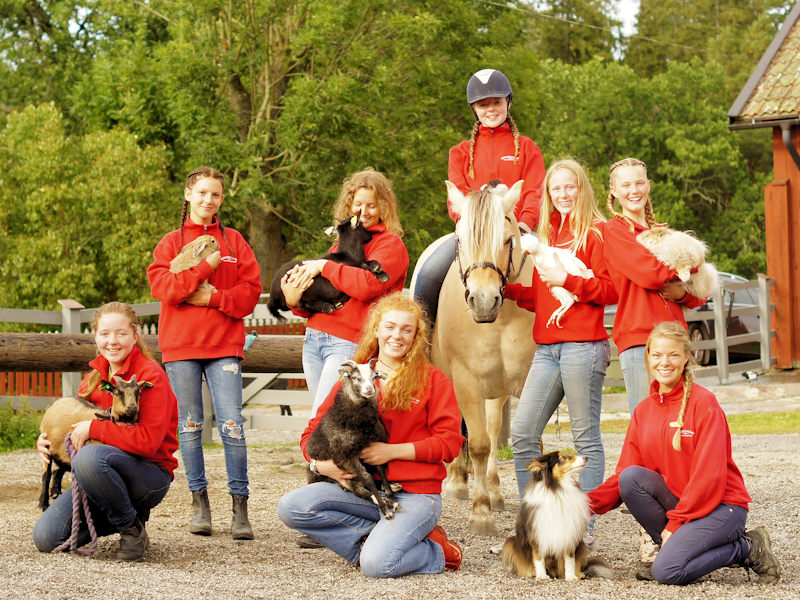 We offer several different kinds of summer camps at Rönninge By. Everything from 2-day camps for pre-school children (from 4 years) to our 5-day long sleep-over camp for children and youths from 9 years old. Learn more by clicking the links in the menu. Do not hesitate to contact us on info@djurkul.se if you have any questions. You can also reach us at 070-090 13 94. Do you feel there is something missing in our range of animal-related activities? Please let us know! Send us an e-mail at info@djurkul.se. From all of us at Djurkul - a very warm welcome!